Scavenger Hunt Pub Crawl is HERE! Friday the 13th is once again creeping into sight. But this time around, rather than hiding in your closet scared that Jason Voorhees is in pursuit, harness your fear, and celebrate by participating in the 4th Morristown Hopped Up Highlands Scavenger Hunt Pub Crawl beginning at 6:00PM at Revolution (9 South Street.) This year’s crawl features stops with a quartet of Morristown’s most interesting craft beer bars, all in the name of promoting clean water. It’s a marriage made in hop-heaven and to top it off, a feel-good element as well. 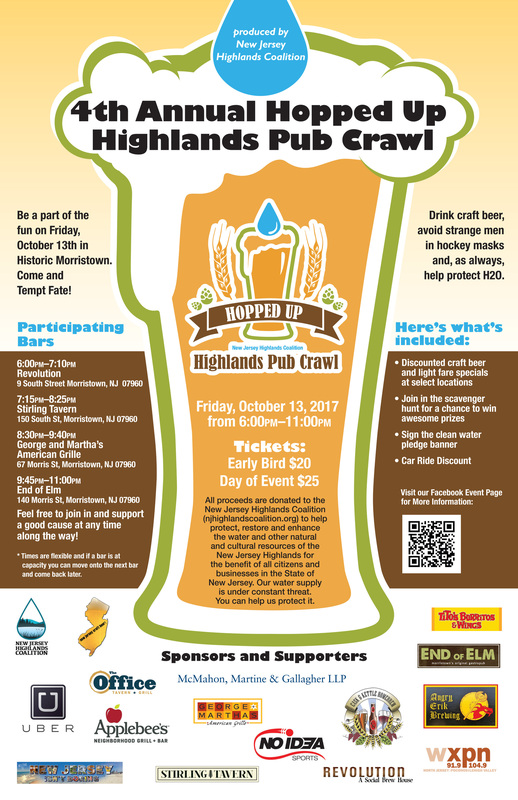 Grab more information about The 4th Hopped Up Scavenger Hunt Craft Beer Pub Crawl and add your own twist to Morristown!